If you're searching for a place to stay in the Kuala Lumpur city center, Riccarton Capsule Hotel is an excellent choice! It is suitable for just about everyone; solo travelers, families etc. 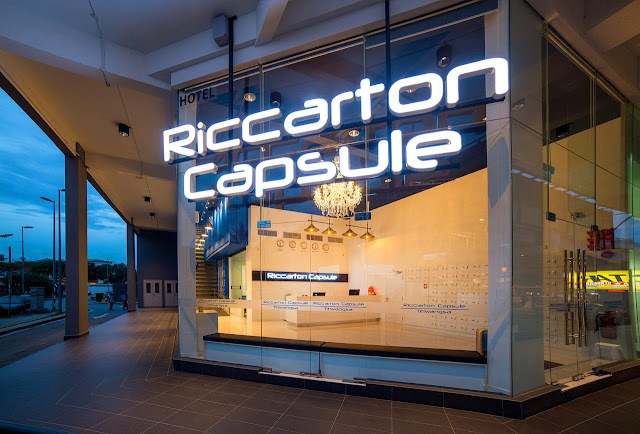 Riccarton Capsule Hotel is an affordable option in Kuala Lumpur which its excellent location, it has all the things you need when traveling. Riccarton Capsule Hotel has 20 standard 3-star rooms and 108 space themed capsule rooms. 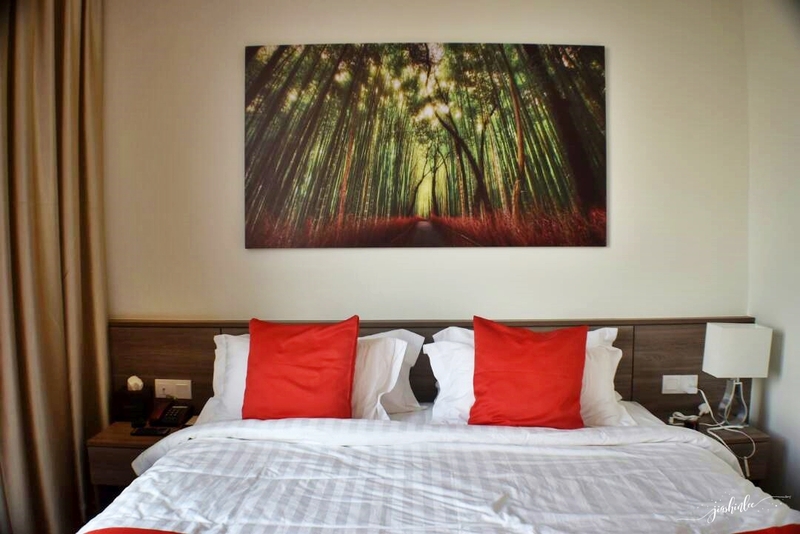 Both rooms and capsule are fully furnished and equipped with all the essential comforts. 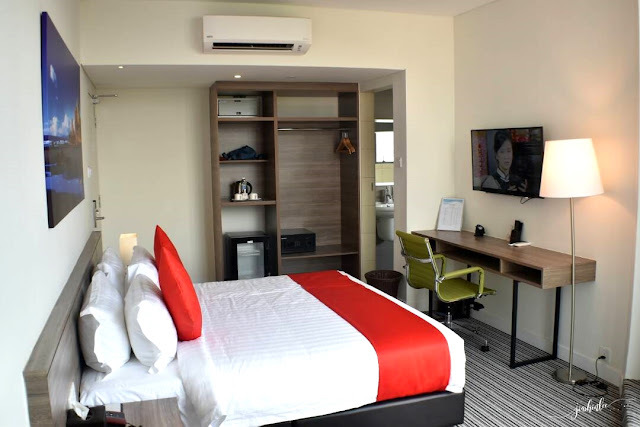 Both standard rooms and capsule rooms come with hotel facilities like 24 hours front desk with staff, free parking (the car park is right opposite the hotel), free use of bicycle, shuttle bus to nearby hospitals and complimentary toiletries. With Titiwangsa Lake Gardens right behind the hotel, this is a great opportunity to enjoy peaceful outdoor strolls. The Titiwangsa Lake Gardens is a recreational park for the public, it has a few huge lakes in the middle of the park, there are also jogging tracks, aqua biking, canoeing and other outdoor activities available as well. We checked into their Deluxe Family Room, the room was perfect for family, it was really spacious catering to fit 4 adults and 2 children, there are 2 king size beds, 43" inch television, safe deposit box, mini fridge and ample space to place out clothes and languages. The family room also comes with a gigantic spacious bathroom, which is also meant for those who are staying in with handicap. 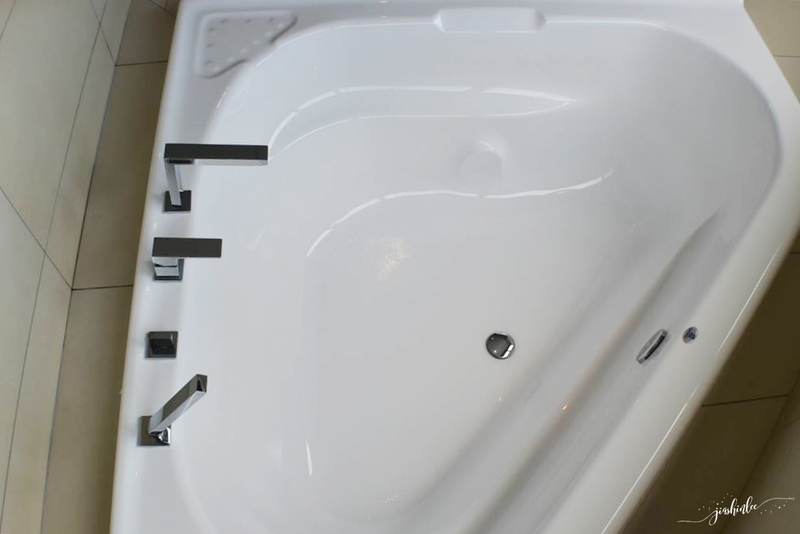 I've also got a chance to take a peek into their deluxe suite, it came with a king size bed, 43" inch television, safe deposit box, mini fridge, amenities and I absolutely love the bathtub in the bathroom! Overall my family and I had a great stay here and all three of us were happy. Riccarton Capsule Hotel was a good value without burning a hole in my pocket, the comfortable option works well with kids at a great location. We enjoyed the spacious room with great beds and most importantly the local area, everything was just right. No.G-Wisma Q Titiwangsa, Persiaran Titiwangsa, 1, Jalan Pahang, 53000 Kuala Lumpur. very comfortable for one night stay with family. Konsep capsul hotel ni memang jadi tumpuan sekarang best dan murah I pun suka sebab dah cantik..
tipah tertipu!!!!!! kita bayangkan capsule yang macam aerospace itu. hahaha. tapi nice jugalah bilik hotel ni, nampak bersih dan kemas. boleh bookmark kalau kot2 kena menginap hotel dekat KL ni. Simple & nice decoration. I like it.